"Average customer saving: 54%, £106.00"
TravelStay: The best deals for cheap London hotels, London B&Bs and hostels! Satisfying over 15 million customers since 1999, customers voted TravelStay 'excellent' in reviews for customer service, ease of booking and lower prices! Save a further 25% by booking a TravelStay deal, including student, long stay, advance booking, Facebook, Twitter, loyalty or refer a friend discounts. LATEST: TravelStay customers saved 31% on regular prices! Huge discounts available now! Booked with TravelStay before? You may qualify for our Secret Member Prices! 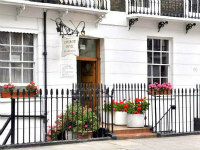 Great service and unbeatable prices in over 140 London B&Bs! Over 115 cheap hotels in London hotels, many with exclusive TravelStay discounts! Save up to 45%! Early bird discounts, long-stay, student, last-minute discounts on top of TravelStay Deals! Over 68 three and four star hotels including Comfort Inns and Holiday Inn hotels. 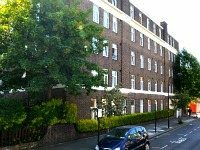 Exclusive long stay special offers plus great deals on apartments in London. London Hostel beds and rooms! Choose from over 69 cheap London hostels! Stay in hotels in Central London to have world famous restaurants, shops and landmarks on your doorstep! Fantastic transport links and major attractions like Buckingham Palace make hotels in Victoria a popular choice! Paddington hotels are ideal for quick rail links to Heathrow Airport and beautiful attractions like Hyde Park! The Eurostar, UK rail links and several Underground lines mean hotels in Kings Cross are so well connected! Hotels in Earls Court are perfect for Earls Court and Olympia Exhibition Centres plus museums and shops galore! Choose Bayswater hotels for a really central location on the verge of Hyde Park with trendy Notting Hill nearby! Top 3 London Hotel Deals: Selling fast! We’ve sourced the best value cheap London hotels and biggest discounts available to bring you the lowest London hotel prices on the net! Take advantage of our exclusive offers, student and long stay discounts to make big savings when you book London hotels online with us. Today's Cheap London Hotel Offers! Book Now! Visiting London this month? Then check out our guide on the best things to do in April 2019. The capital is buzzing with fun, with sports fans enjoying the London Marathon and foodies flocking to the London Coffee Festival. If you’re wondering when to stay in London, the answer is: anytime! There are always plenty of amazing events taking place and new openings to keep you entertained. Book one of our cheap London hotels and you’ll have lots of cash left over to go to the most popular events! Spring is a wonderful time of year to visit London, with the warmer weather making outdoor activities an absolute pleasure. From the many parks and gardens to the inner-city farms and beer gardens, there are plenty of ways to make the most of Spring. You don’t need a load of cash either, as our top 10 ways to spend less in London prove you can still have fun on a limited budget. With the Easter holidays fast approaching, take a look at how to keep your little ones amused with our pick of attractions for kids. The whole family will love visiting the animals at London Zoo, Vauxhall City Farm or Battersea Park Children’s Zoo. Take your pick from our discounted London bed and breakfast hotels and fill up on a hearty breakfast each morning to give you plenty of energy for your exciting day of sightseeing! We’ve got the lowdown on cheap attractions in London whatever time of year you’re visiting, plus top tips for saving money, whether that’s things to do in London for less than a tenner, cheap walks or even things that are completely free! With TravelStay’s heavily discounted cheap London hotels, visiting the capital just got all the more affordable. Want even more great London accommodation deals? Then ‘Like’ us at Facebook.com/TravelStay, join us on Google+ and follow us on Twitter @TravelStay for exclusive promo codes, discounts and special offers on cheap London hotels! We’ll also keep you up-to-date on the latest London events via our social media, like our Google+ post on Kew Gardens’ Orchid Exhibition, Want personal recommendations for what to do in London? Simply ask us on Facebook and we’ll oblige! And over on Twitter we’ve got your social life sorted with tweets about great nights out in London. Here at TravelStay, we not only provide great discounts for your London accommodation, we also give you lots of handy information in our guides to every area and aspect of visiting the capital. Looking to make your spending money stretch that bit further? Get your money's worth in the capital with our guide on 10 ways to make the most of London. You might not have the same budget as a celebrity, but you can definitely hang out in the same hot spots as the rich and famous if you read up on our 10 best places for celeb spotting. Summer is a wonderful time to visit the capital, from inner-city farms and seasonal menus to parks and beer gardens. Check out our guide to the top 6 things to do in Summer in London. Wondering where to stay in London? We’re always adding new area guides, from trendy Hoxton and cultural Chinatown to the attraction-packed South Bank and entertaining Theatreland. Once you've chosen your favourite area, compare hotels in that location by reading customers' TravelStay reviews. Want to know which are the most popular London hostels for students or the best London accommodation for contractors? Or are you flying into or out of Heathrow Airport or Gatwick Airport and need the lowdown on London airport stays? We’ve got new London guides for all of that, plus our money-saving top tips on how to spend less in London and live like a Londoner! We know how helpful it is to read about other travellers’ experiences, so that’s why we invite all of our customers to write reviews about their accommodation. TravelStay reviews tell you everything you want to know, from the cleanliness of the rooms to the usefulness of the facilities and the convenience of the location. Whichever area of the capital you want to stay in, you’ll find insider info on accommodation across the city, including Central London hotel reviews, East London hotel reviews, reviews of West London hotels, South London hotel reviews and reviews of North London hotels. 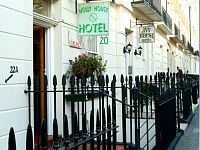 Discover what’s special about each of our accommodation types by reading cheap London hotels reviews, London hostel reviews and bed and breakfast reviews. You can then book with confidence! It's easy to find videos about cheap trips to London produced by our customers, plus the odd fun video about TravelStay online. A Danish customer has produced this awesome video about their trip to London, having an amazing time and staying at Hyde Park Hostel for only £9 per night! Our latest TravelStay exclusive offers include savings of over 40% when you book a 3 night stay in hotels in Ilford. The latest TravelStay special offers on cheap London hotels include free English breakfast at European Hotel London and free continental breakfast at Romanos Hotel and Islington Inn. Searching for the cheapest hotel in Central London? We’ve always got great offers on the go, with over 305 of the cheapest hotels in London available from just £14 per night, so make your London hotel reservation today! LSE are offering great deals in their London residences until 26th September! Click here to book before they sell out. We’ve even thrown in a free full English breakfast at Carr Saunders Hall and Roseberry Hall! Check out the rest of our latest London accommodation offers too. Our exclusive London accommodation with student discounts include £1 off per night at the very cheap Hyde Park Hostel and 10% off at So Sienna Hammersmith. Other great TravelStay deals on London accommodation include incredibly low prices at the ever-popular Hammersmith Rooms. BB London Organic has been voted TravelStay favourite London BnB! We’ve got plenty of popular London bed and breakfast hotels that give guests that cosy feel, with over 100 B&Bs in London on our books. TravelStay secures huge discounts on London hotels to bring you the best value for money. Our extensive range of budget hotels are cheap, safe and clean. No wonder we’ve been featured on MoneySavingsExpert and Channel 5’s ‘It Pays To Save’! We go the extra mile to ensure your stay in London is enjoyable. Book your accommodation with our dedicated customer service team and then use our area guides, itineraries and London hotel maps to help plan your London weekend break. Check out our latest TravelStay Reviews to see what our customers think of TravelStay and how to book with TravelStay when planning a trip to London! You'll find hundreds of reviews about TravelStay from genuine customers, compiled by an independent global feedback engine. Our customer service team consistently receive great reviews about TravelStay customer service. All of our London hotels and B&Bs are close to major attractions like the London Eye, as well as the London Underground and bus network, so you’ll be able to visit Big Ben or enjoy a theatre break regardless of the weather in London! We offer a free group booking service too, and can provide exclusive discounts on London hostels for school groups, London hotels for corporate groups and London apartments for stag and hen groups. We also offer budget hotels in other cities including Glasgow and Edinburgh! "Travelstay is Great! Really easy to use. I found great offers and best prices for a lot of hotels. It's way better than booking.com"